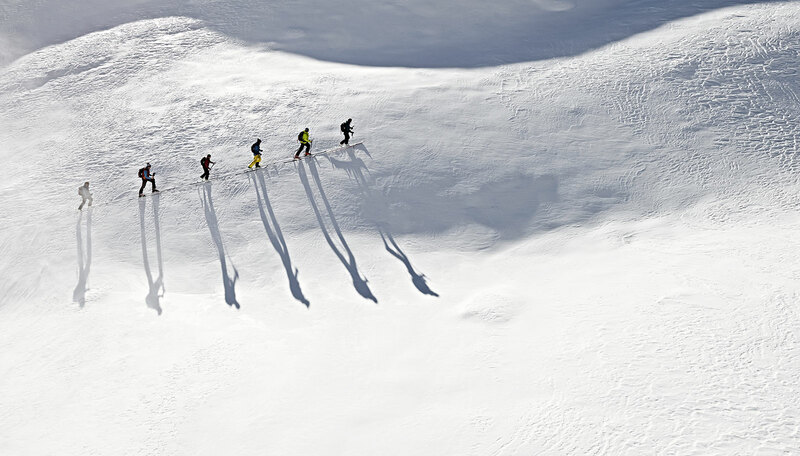 One of the best ski-touring and summer seasons for mountaineering lies behind us and the motivation for the plans for the next season is even greater. Subsequently, we have again tried to put together an interesting mix of touring areas and the associated accommodation which, after decades of experience, we consider to be the best. We have always been and are increasingly convinced that alpine experience is best gained where there are not too many people at the same time, and where the valley or local residents themselves like to live and work. Following this criteria and together with you, we would like to go mountaineering in the vast expanse of the Alps and beyond, where it centres less on “destination” but much more on the habitat for local residents and guests.